Lucky find. An old itch scratched. Off soon again to Japan. A winter trip this time (not skiing) and a chance to see old things a new way. It is a bit odd packing forJapan's winter in 30 degree heat here, but a cold snap a week or two ago helped remind us to take it seriously. Kamakura EM5 45mm. Not the weather we will be getting. My one consideration is bags (what another one? No). My concern is really a lot of small things, but they are real enough to warrant a search. 1) Insulation. The bags that I usually buy are for comfortable "temperate" environments with little thought put into any other considerations other than rain. This makes for a cupboard full of thin walled canvas bags. 2) Secure access, closure with possibly gloves (no fiddly clasps) and weather proofing that is not dependant on a scrupulously closed bag. Thin flaps, buckles, poor rain proof flap designs are all things that will realistically be a problem if I am cold, wet and in a hurry. 3) Vanity knocking,. My winter clothing is generally well considered, modern and synthetic. My camera bags tend to be transitional season, jeans and a T shirt style, meaning I will have a trendy, rustic and faux worn or actually worn looking bag that looks out of place (because it is) over black nylon etc. As I said, pure vanity, but I am also keen as ever to blend in. 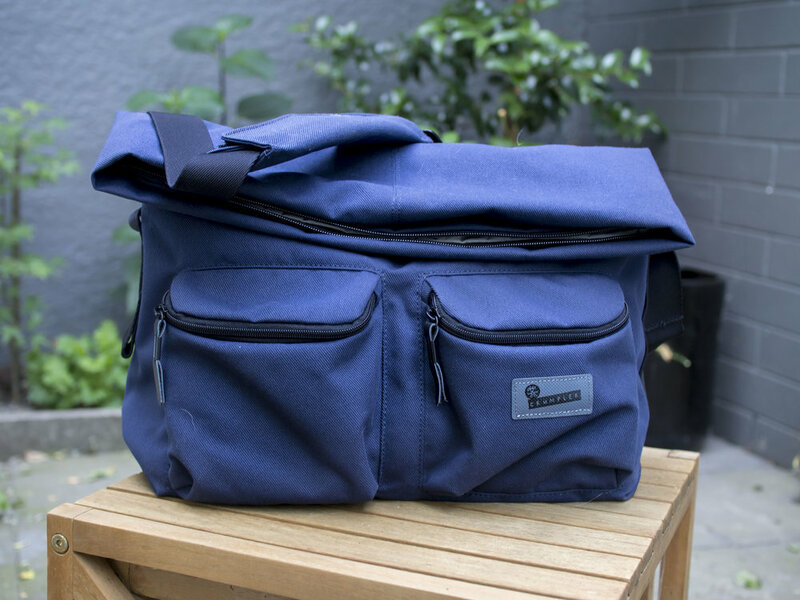 The answer (review coming) came in a chance encounter with a recently discontinued Crumpler bag, the "Leaked Memorandum". I will go into more detail later about my search for the perfect Crumpler, but for now a quick and dirty image of the new bag. It is basically a "Flock of Horrors" style, fold over sleeve, lap top satchel (a favourite that I could never pull the trigger on for various reasons), without the annoying clasp strap and with two useful front pockets. Note the way the top flap folds forward (or backwards) for easy access, instant security and weather protection. And it was only $85 direct from Crumpler on clearance!